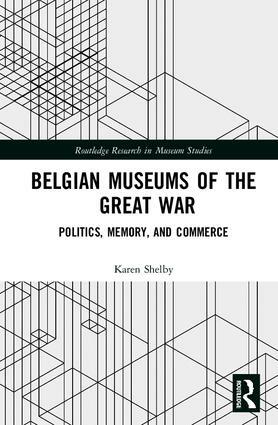 Belgian Museums of the Great War: Politics, Memory, and Commerce examines the handling of the centennial of World War I by several museums along the Western Front in Flanders, Belgium. In the twenty-first century, the museum has become a strategic space for negotiating ownership of and access to knowledge produced in local settings. The specific focus on museums and commemorative events in Flanders allows for an in-depth evaluation of how each museum works with the remembrance and tourist industry in the region while carving a unique niche. Belgian Museums of the Great War writes the history of these institutions, analyzes the changes made in advance of the anniversary years, and considers the site-specificity of each institution and its architectural frame. Since museums not only transmit information but also shape knowledge, as Eileen Hooper-Greenhill has noted, the diverse narratives and community programs sponsored by each museum have served to challenge prior historiographies of the war. Through newly revamped interactive environments, self-guided learning, and an emphasis on the landscape, the museums in Flanders have a significant role to play in the ever-changing dialogue on the meaning of the history and remembrance of the Great War. Karen Shelby is an Associate Professor of Art History at Baruch College, City University of New York. Her research focuses on the cultural politics of exhibition narratives, memorials, and cemetery design through examination of the visual culture of the Great War.